Let’s Celebrate in the Lou, Go Chicago Cubs. 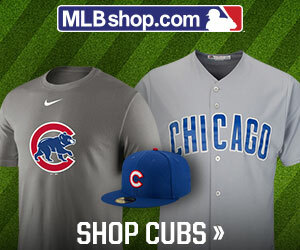 The Chicago Cubs will try to clinch a tie for the National League Central title Monday night against the rival St. Louis Cardinals at steamy Busch Stadium. 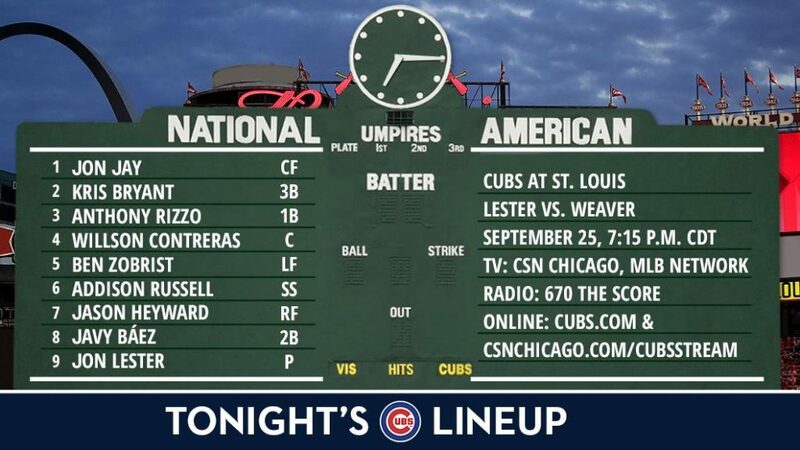 Jon Lester (11-8, 4.56 ERA) will face the Cardinals’ Luke Weaver (7-1, 2.05 ERA) in Game 1 of this pivotal series. Lester is 1-1 with a 3.28 ERA in four starts against the Cardinals this season. The Cubs are 11-4 against the Cardinals so far this season, including a three-game sweep from Sept. 15-17 at Wrigley Field. The Cubs have a 44-23 record since the All-Star break, the second-best mark in baseball, trailing only the Indians. hello there and thanks for your information – I’ve definitely picked up something new from proper here. I did on the other hand experience a few technical points using this web site, as I experienced to reload the site a lot of times prior to I could get it to load correctly. I were considering if your web host is OK? Now not that I am complaining, but sluggish loading cases instances will very frequently affect your placement in google and could damage your quality rating if advertising with Adwords. Well I am including this RSS to my e-mail and could glance out for a lot extra of your respective interesting content. Make sure you replace this again soon..